Here at The Lighting Company, our range of lighting is forever growing, and we’re adding new ranges and styles to keep up with naturally changing trends whilst not forgetting traditional designs that we’ve grown to love. One area we wanted to explore with you is our range of antler lights; which provide rustic elegance through decorative, British made light fittings. Our range of antler lights replicate stag antlers and in 2016, the stag trend shows no signs of stopping and continues to feature in many of our modern home decor items such as wallpaper, cushions and bedding; turning our traditional and rustic homes into a country style retreat. Each one of the antler lights that we stock has been designed and manufactured in the UK, using traditional techniques and assembled by hand for an authentic appearance and superior quality. 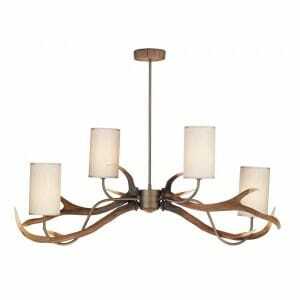 From chandelier style antler ceiling lights with multiple lamp holders to antler wall lights, the antler collection is suitable for country homes, hotels and pubs and would look fantastic in rooms with open fires to create a true rustic style and cosy ambience. 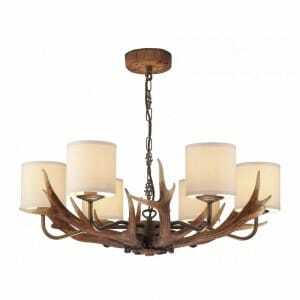 However, antler ceiling lights won’t look out of place in modern homes where the entire interior decor is shades of white, taupe and grey. If you think a rustic ceiling light or wall light will look great in your home, just take a look at some of our favourites from the antler collection; you won’t be disappointed. This antler ceiling light in particular is ideal for using in the dining room above your table, as its 4 light linear design stretched over a meter long to provide ideal light for the table below. The ceiling light comes supplied with circular woven effect cream shades, which are intwined around the rustic brown stag antlers. 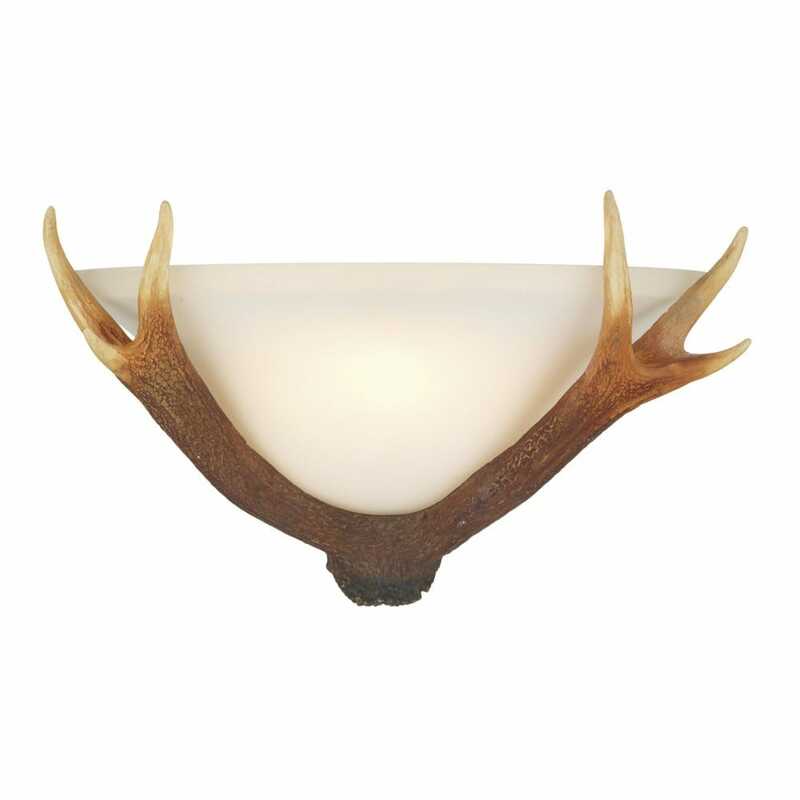 For those looking to inject extra lighting in their homes, either in the hallway or living areas, the antler wall light features the same stag antlers as the ceiling lights in the same range that will illuminate the wall and ceiling about the light fitting – creating the illusion of a larger room. 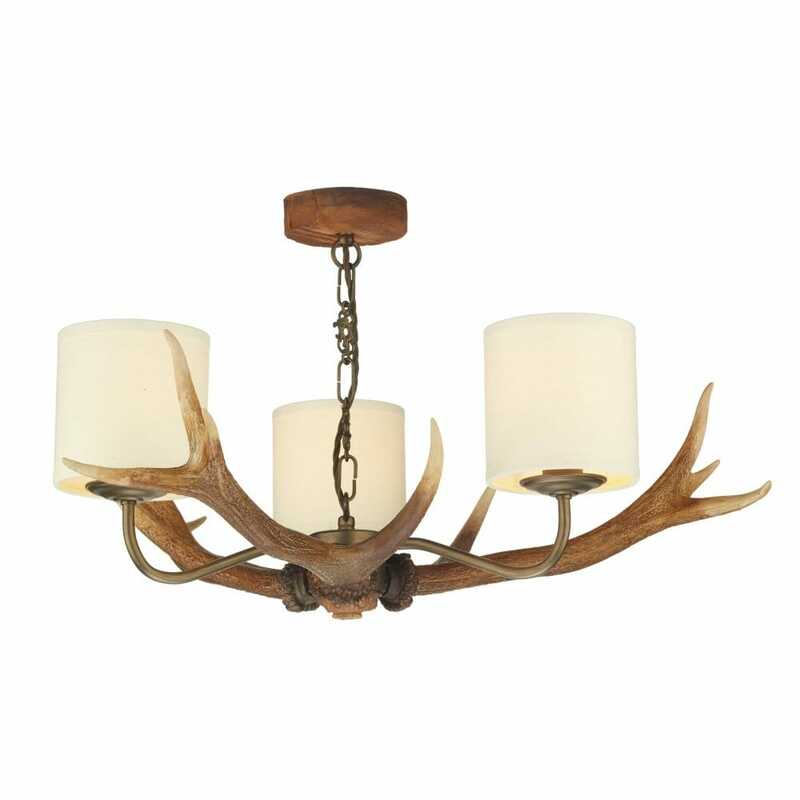 If you don’t have a particularly large room or you don’t have the ceiling height to allow for larger light fittings, this 3 light antler ceiling pendant is an excellent choice for those looking for rustic style without compromising on space. 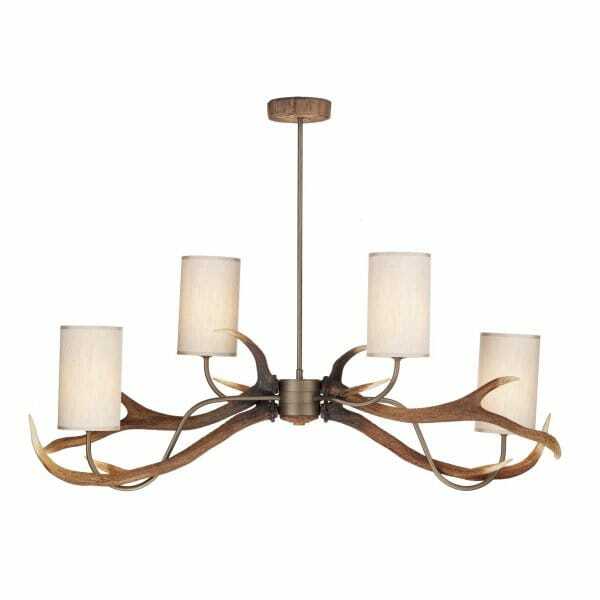 For the ultimate hand crafted antler ceiling light, this large 6 light version offers enough light output to light up the largest of rooms and create a showstopping style statement. These antler ceiling lights are incredibly versatile, and can be used within a rustic or county setting in your living room, dining room, conservatory and even as an entrance hall light for maximum impact. ← Previous Previous post: How To: Creating a Lighting Plan for your home.